Experiment is a easy method to measure your designs. Experiment is a definition of a set of Projects. 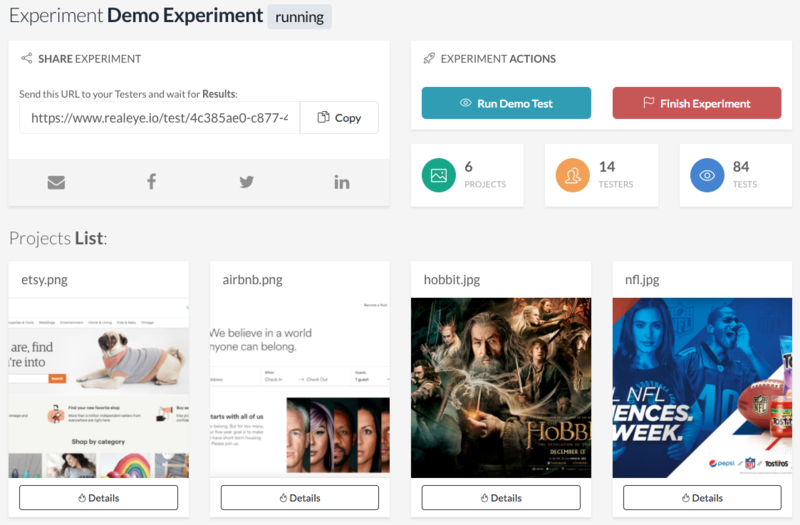 Running - Your testers can Test Projects within this Experiment. Results will be stored in Database and you will be able to access them immediately. Finish your Experiment when you decide that you have collected enough data.